This is the best time in history to be a technology entrepreneur in Europe, or indeed outside Silicon Valley. Over the past decade, the start-up world has undergone huge change. As data we published last year showed, the majority of billion-dollar internet companies founded since 2003 were actually built outside the Valley. For me personally, the journey has been eye-opening – from the early days at Skype, when most people dismissed the idea of building a company from Sweden, to today, when Atomico is proud to be an investor in Supercell, Truecaller, Klarna, ZocDoc and other successful companies that started life in places like Helsinki, Stockholm, New York, London and elsewhere. How has a change this dramatic been possible in such a short time? It’s not just because great entrepreneurial talent can be found everywhere – that has always been the case. It’s not just because VC money has finally found its way into a new set of emerging tech hubs, particularly in Europe – though this is certainly an important factor. It’s also due to one of the most seismic shifts in technology: the explosion of the global internet, giving entrepreneurs from anywhere the ability to scale everywhere in the blink of an eye – or to put it another way, thanks to the billion-user app stores, the ability to scale at the speed of mobile. This is widely understood as a consumer phenomenon, but its effect on how technology companies compete is under appreciated. The rules of the game have changed, and when companies are fighting for the almost two billion smartphone users in markets from Asia, Europe, the Middle East and Africa to North and Latin America, where you come from suddenly matters much less than where you are scaling into. Great companies can come from anywhere – but today, great companies also need to scale everywhere. To explore this transformation, Atomico has investigated the way in which the world’s top tech companies, including a growing number from Europe, achieved global success. As well as analysing the data from all of the 182 billion-dollar internet companies founded since 2003, we have spoken to many of these founders to get their perspectives on the journey to international success – including Daniel Ek at Spotify, Uri Levine at Waze, Phil Libin at Evernote, Riccardo Zacconi at King, Tomoko Namba at DeNA and Niklas Östberg at Delivery Hero. By distilling the experiences of these exceptional entrepreneurs, we hope to present some of the lessons from their companies and to demonstrate that, in the race for global success, entrepreneurs from smaller countries may have their own advantages, too. 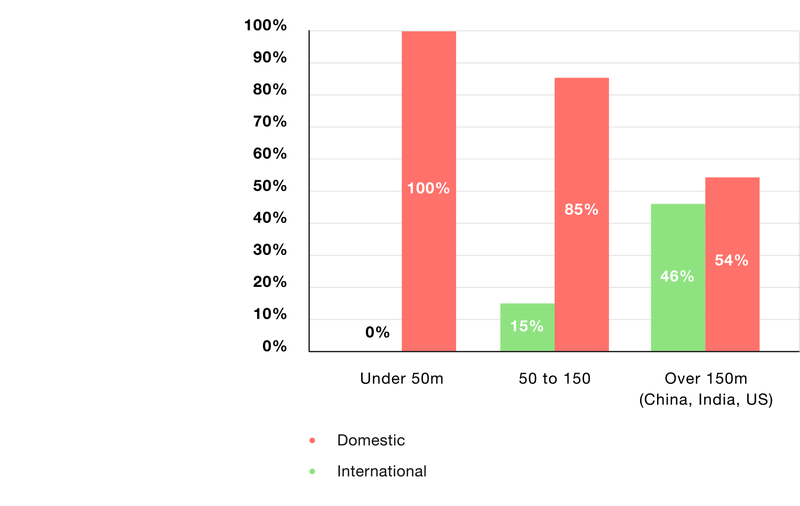 International expansion is faster when you come from a small market – averaging just 1.4 years for companies with a domestic population of less than 50m, less than half the time of companies from countries with a population of over 50m people. If over the past 12 years it’s become easier to build a billion-dollar company from anywhere, it’s also become increasingly important for those companies to scale everywhere, faster than ever. Driven by vastly increased internet penetration, the global adoption of social networks, common app platforms and a global willingness to pay for goods and services online, the old barriers have come down. 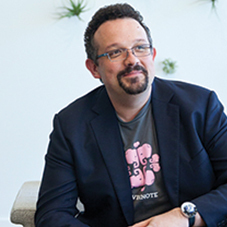 Read Phil’s full interview on how he grew Evernote into a global business. Historically, having a huge domestic market was a major advantage. But entrepreneurs from smaller countries have found a way to level the playing field, by being far faster to internationalise. In many cases, they aim to solve global problems and think internationally from the outset. “We were addressing a problem that exists nearly everywhere, so a solution could be applied everywhere. With this point of view we actually planned on being global from day one.However, we were trying to do something that had never been done before; we were trying to build a truly global mobile app from Israel. A lot of people simply thought that this couldn’t be done, that we didn’t have the right skills or expertise or so on. 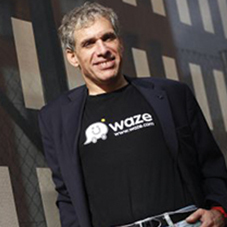 Read Uri’s full interview on how he grew Waze into a global business. 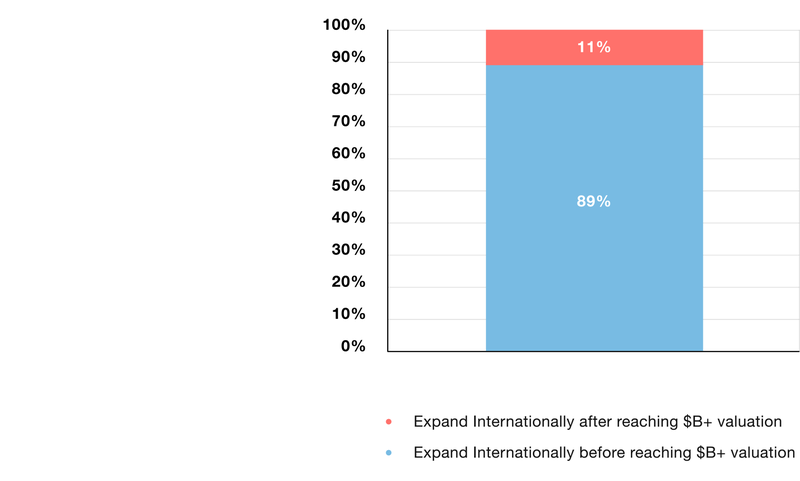 Across the board international expansion is happening faster than ever – of the 62% of billion-dollar companies that internationalised, those founded between 2003 – 2008 took an average of 3.4 years to go do so; those founded after 2009 took an average of only 1.8 years. But our data shows that companies from countries with a population of less than 50m people take an average of 1.4 years to go international, less than half the time of companies from countries with a population of over 50m people. This is driven in large part by necessity – every one of the 17 billion-dollar companies to have been built in a country with a population of less than 50m did so by becoming an international business. By contrast, in China, 38 out of the 39 billion-dollar companies founded since 2003 only do business domestically. For those companies that have gone global, the average lag between going global and then hitting a $B+ valuation is 3 years. The ability to reach huge scale: the average time taken by the fastest growing consumer products and services to reach 100m users has shrunk from 72 months for companies founded between 2003 – 2008, to just 25 months for companies founded since then. The sprint to reach a billion-dollar valuation: smartphone usage and app platforms have helped to fast-track companies to a billion-dollar valuation. The average time taken to reach a billion-dollar valuation is 5.7 years however in the past five years we have seen 26 companies reach this valuation in less than half that time. 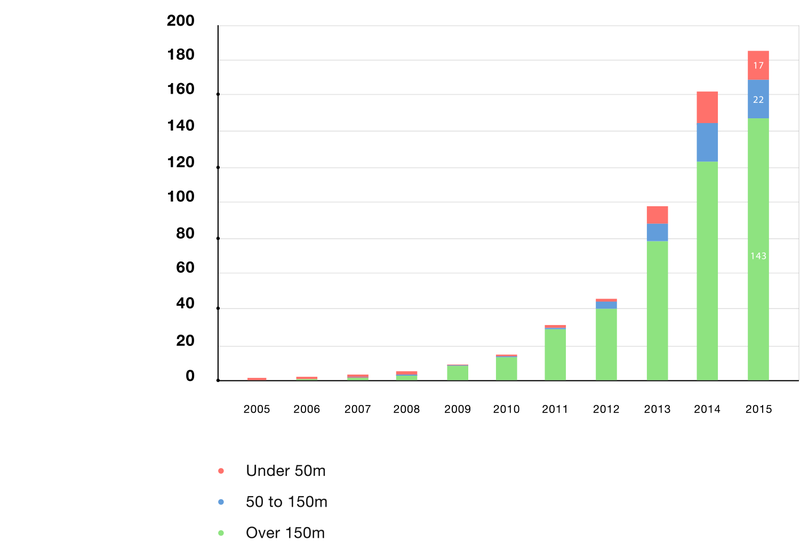 Beibei.com, a Chinese online baby and kids retailer, did it in just 9 months. 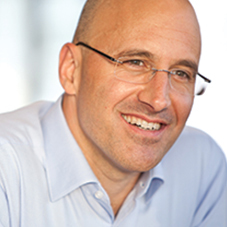 Read Riccardo’s full interview on on how he grew King.com into a global business. The opportunity to go global faster costs more – companies achieving a billion-dollar status have raised on average $193m in venture capital. This cost is increasing over time. Although companies founded between 2003-2008 raised a median of $168m, this has risen 48% to $248m for companies founded after 2009. 14 companies founded since 2003 have raised over $1B, including Uber and Flipkart. By way of contrast, at least 10 companies founded since 2003 achieved billion-dollar status with less than $20m – YouTube raised just $11.5m and Veeva raised $7m before it IPO’d at $2.4B. Timing is critical. Too early, and companies risk huge distractions and cash burn before they are in a position to reap the rewards of internationalisation. Too late, and the risk of local players or well-funded global competitors becomes a major threat. 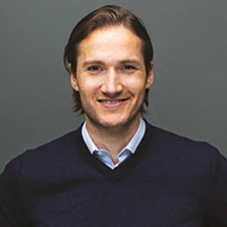 Read Niklas’ full interview on how he grew Delivery Hero into a global business. Over the period we looked at, consumer-focused companies took on average 2.0 years to go international, while enterprise companies, which require greater investments on the ground, took on average 4.1 years. 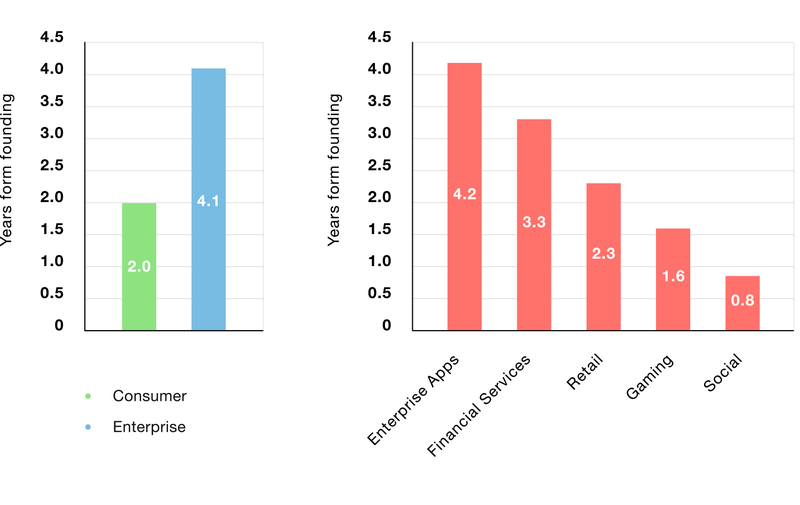 Diving into specific sectors, social and gaming companies are among the fastest to go international, while enterprise applications and enterprise data and security are among the slowest. When battling for users and customers in every continent, the size of your domestic markets matters much less that it once did. 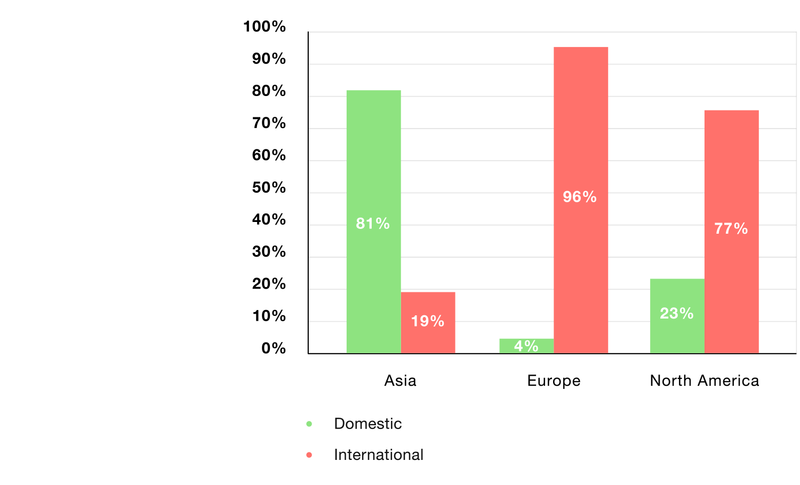 Only 3% of billion-dollar companies in Europe are domestic (that’s just one company, Zoopla), compared to 24% in North America or 81% in Asia. Remarkably, all but one of the 39 billion-dollar companies founded in China since 2003 are entirely domestic (ZQGame being the exception). That’s no surprise given that China has 650m Internet users. It’s already the second most valuable digital advertising market globally and third highest grossing market for the Apple App Store. 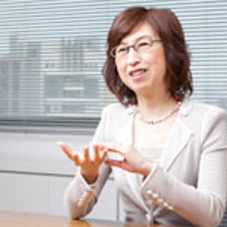 Read Tomoko’s full interview on growing a company from Japan. 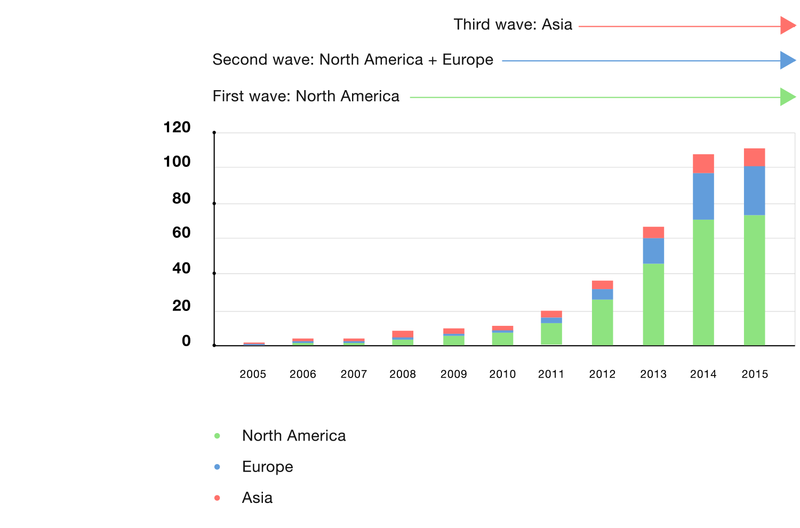 So far, we’ve seen two main waves in terms of the internationalisation of technology companies from around the world. 2003 onwards was characterised by North American Internet firms going global on the hunt for new growth opportunities away from home. 2009 onwards has seen the (still increasing) pool of North American companies – Facebook, LinkedIn, Twitter – being joined by the growing number of European billion-dollar companies – Supercell, Soundcloud, Waze – who are going global at increasing speed. We now stand on the edge of a third wave as ambitious Asian entrepreneurs look to grow beyond their borders and replicate their success at home, abroad. 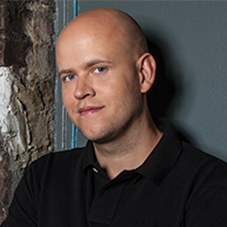 Read Daniel’s full interview on how he grew Spotify into a global business.